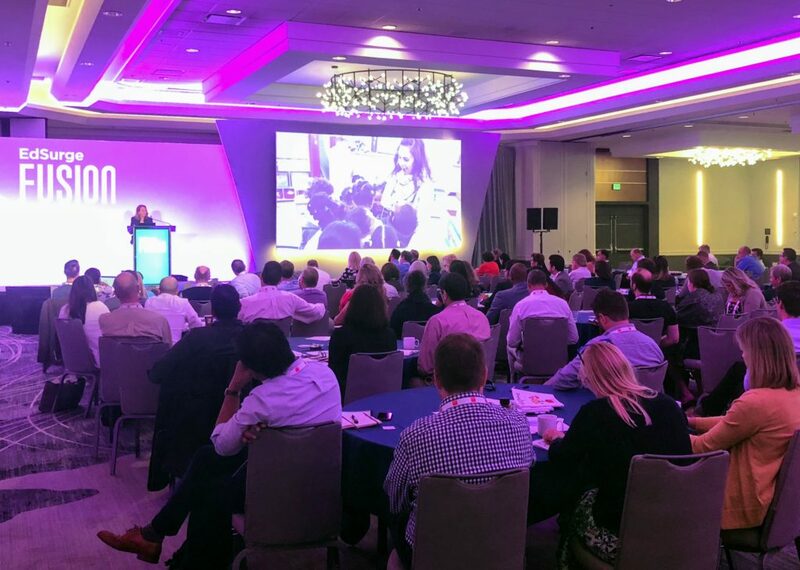 Turnaround for Children Founder and Senior Science Advisor, Pamela Cantor, M.D., gave the opening keynote address at EdSurge Fusion 2018 in Burlingame, CA. This year’s conference theme was “Personalized Learning for the Whole Learner.” The goal was “to bridge the gap between theory and practice — focusing not just on technology but integrating what learning sciences, community development and social-emotional research can teach us about the holistic picture of personalized learning in schools and districts,” according to EdSurge. The conference was attended by a broad range of educators and innovators, including superintendents, principals, teacher leaders, researchers, chief information officers, and leaders of states, districts and charter management organizations. Dr. Cantor discussed her personal story of why she decided to become a child psychiatrist and eventually found Turnaround. She recalled that in medical school she learned not only about how the body works, but about “how we love, how we attach, how we nurture, and, most of all, how we heal when things go wrong.” Dr. Cantor explained why an integration of environments, relationships and skills and mindsets is essential to personalizing learning to meet the needs of the whole child. “The effects of trauma in a child’s life are rarely about the nature of the event itself, they are about the presence or absence of a protective relationship. Every time we hear a story of a child who has surmounted unbelievable adversities and challenges and gone on to achieve some incredible success — what is common to every one of the stories — is a person who protected that child, was interested in that child. If you try to narrowly target academics and do not address how children become learners in the first place and the forces that accelerate or hinder that process, children won’t be able to do what we are asking of them.